As DVDs became a ubiquitous format for average people and nerds alike in the early 2000s, it was kicked to the curb by the rivalry between High Density and Blu-ray. The DVD was overshadowed and deemed passé in the blink of an eye. I’m fond of the era when the DVD was the preeminent format for movies. 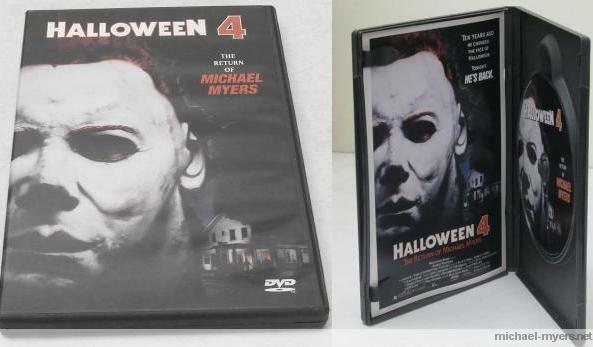 I recall the gushing excitement when I obtained the DVD for HalloweeN: The Curse of Michael Myers. Maybe it’s my age and I’ve watched too many movies too many times, but no Blu-ray title has caused me to feel the same way as that H6 DVD did. 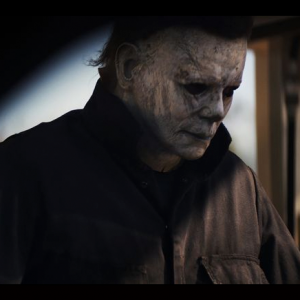 The recent HalloweeN II, III, 4 and 5 Blu-rays each have enticing features. However, I’m not overly enthused about ordering those discs. I’ll pick them up eventually; I’m in no hurry. We’ll use this space to go over two of the HalloweeN sequels on DVD. 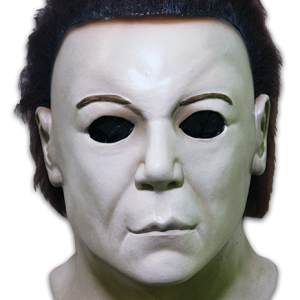 Namely, we will deal with HalloweeN 4: The Return of Michael Myers and HalloweeN 5: The Revenge of Michael Myers. Even now, in 2012, Anchor Bay Entertainment has the home video market cornered when it comes to both those titles. But let’s go back to 1999. In 1999, Anchor Bay released HalloweeN 4 with minimal special features. The 1999 DVD for H4 presented the film in widescreen. 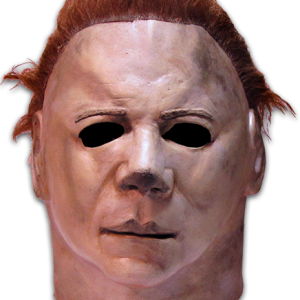 It also had the theatrical trailers for H4 and HalloweeN (1978). The included insert was made of sturdy cardboard. One side was a replica of the H4 poster. The other side had the DVD chapter selections. Following the success of their H4 DVD, Anchor Bay took it up several notches with HalloweeN 5. 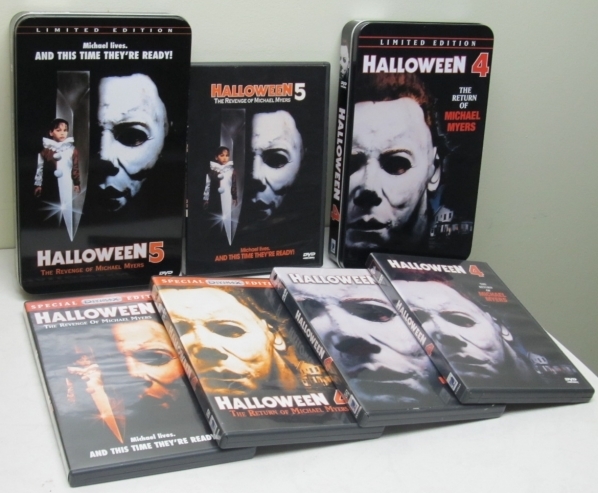 The company released two DVD editions for H5 in September, 2000. The first H5 DVD contained both the widescreen and full frame versions of the film. 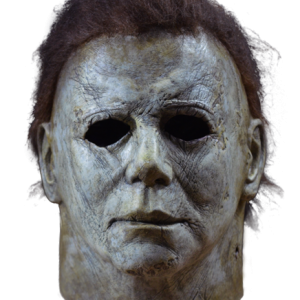 Also included were the H5 trailer, a 10 second segment where Danielle Harris and Ellie Cornell introduced the film, and a new 15 minute documentary, Inside Halloween 5. The documentary was quite entertaining. In addition to interviews with Moustapha Akkad, Rachel Carruthers, Danielle Harris and Don Shanks, the documentary promised a deleted scene from the film. The deleted footage wasn’t shot by the director’s camera and the scene was out of context until Shanks explained it in 2012. So, the cut scene was frustrating to watch. The insert for the H5 DVD was the same deal as with the H4 DVD: replica poster on one side and chapter selections on the other. The cover sleeve for this H5 DVD was reversible. The other side had graphics and a write-up about Halloween 5’s place in the franchise. At a time when an animated menu was considered a bonus feature for a DVD, Anchor Bay did well with the DVD for Halloween 5. However, Anchor Bay was not done with H5. 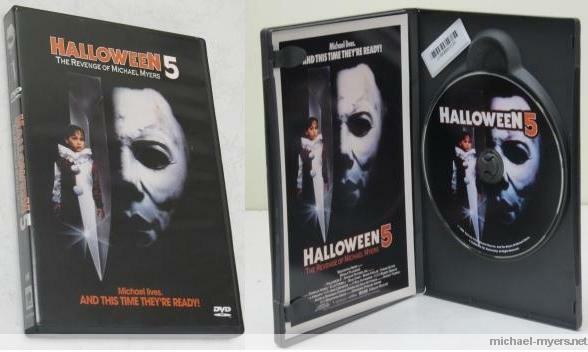 During that same month of September in 2000, they put out a second edition of Halloween 5… inside of a tin box. 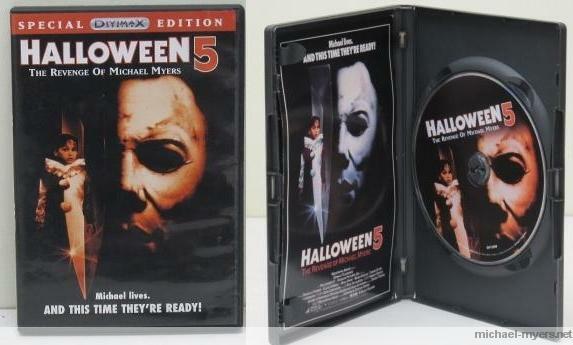 Halloween 5 received the Limited Edition treatment. This release was limited to 15 000 copies. It had all of the DVD features of the regular release and the DVD insert. However, this tin box came with an important extra. Included was a fantastic full-color booklet with plenty of behind the scenes photos. The booklet alone made the purchase of the H5 limited edition a must. 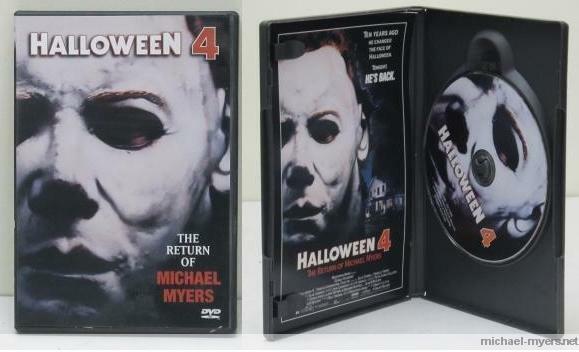 In October of 2001, Anchor Bay replicated the above described one-two punch tactic with Halloween 4. A new regular edition of H4 was issued alongside a Limited Edition. 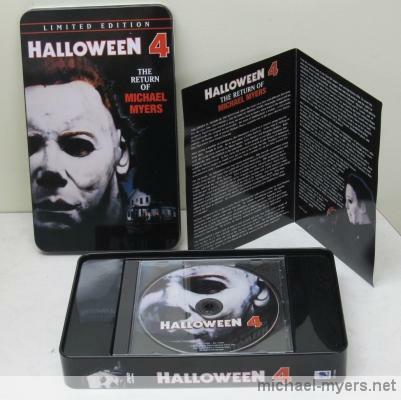 The new standard edition included the film in widescreen, theatrical trailer and a 17 minute documentary, Halloween 4: Final Cut. Halloween 4: Final Cut has revealing interviews with H4 director Dwight Little and writer Alan McElroy. It’s evident that both the director and writer approached the film with definite ideas and goals in mind. The insert for the DVD featured the poster for H4 on one side and chapter selections on the other. The Limited Edition for H4 was rather disappointing. It came in a tin box (the same size as the H5 limited edition) and was restricted to 40 000 copies (almost triple the supply of the H5 tin). The advertised “full color booklet” was really a DVD insert; it was a half-fold brochure, not a booklet with several pages. The limited edition DVD contained the same material as the regular DVD. 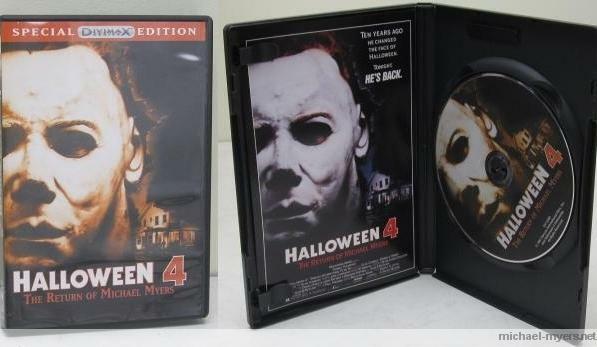 In June of 2006, Anchor Bay offered remastered versions (so-called Divimax) of both Halloween 4 and 5. The films were re-released as Special Editions. The Halloween 4 Special Edition included: new audio commentary by writer Alan McElroy; new audio commentary by Ellie Cornell and Danielle Harris; theatrical trailer; Halloween 4 Final Cut; and Halloween 4/5 discussion panel. Even with the new audio commentaries for H4, I was left feeling a little empty. The Danielle/Rachel commentary was unremarkable. And whoever was facilitating the commentary by Alan McElroy was intrusive and distracting. The interviewer added his own little comments here and there (e.g. during the scene with Brady in the drugstore). He also dropped names for no reason (he stated that he knows Dean Cundey… and?). At other times, this guy failed to press McElroy on some important topics. 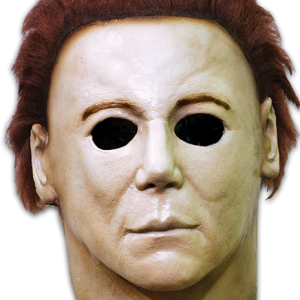 When asked about the scene in the school where Michael Myers wears a different mask, McElroy responded that the same exact mask was used during the entire film. 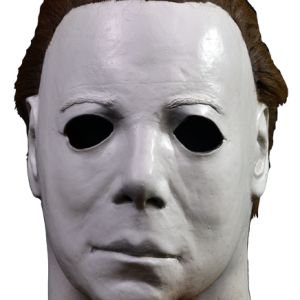 McElroy further stated that the mask used throughout H4 was the same mask used in the first HalloweeN. Before the interviewer reacted with a follow-up question, McElroy had begun talking about something else. Thankfully, the commentary track isn’t a let down. McElroy is insightful, engaging and charismatic. 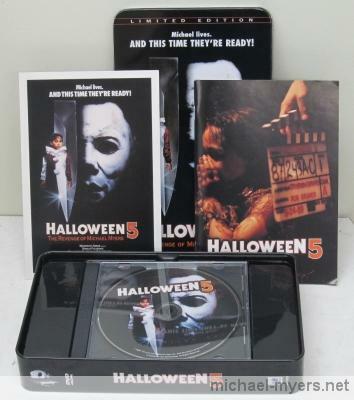 The Halloween 5 Special Edition includes everything from the previous H5 DVDs plus audio commentary by Danielle Harris, director/writer Dominique Othenin-Girard and Jeffrey Landman (who played Billy, *cough*) and On-Set Halloween 5 Footage. The commentary serves to highlight that Othenin-Girard didn’t know what he was doing with certain elements of H5. 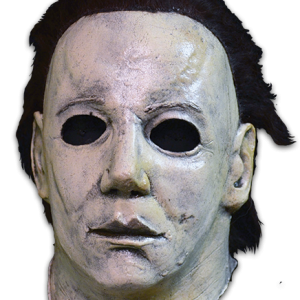 For example, he can’t explain why the Thorn symbol appears on Michael Myers‘ wrist. While the commentary is interesting and lively, there’s an unsettling vibe at times. You can almost picture Danielle rolling her eyes at certain moments. Also, “Billy” sounds like he’s trying to impress Danielle. For Danielle’s sake, I hope she wasn’t in the same room as him while recording the commentary. 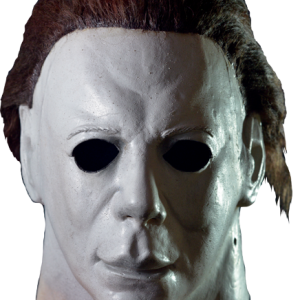 The On-Set Halloween 5 Footage is 7 minutes of behind the scenes happenings. We get a brief interview with Donald Pleasence (a.k.a. Dr. Loomis). Any non-movie footage of Pleasence had been lacking from the previous H4 and H5 documentaries. Most of the footage centers on Othenin-Girard, though. We see him directing Danielle Harris on how to run down the street. There are also some clips of him consuming a popsicle while he and the film crew go over some details. In the years following 2006, Anchor Bay continually re-released and repackaged these same films in a variety of other manners. For instance, the company issued H4 and H5 as a double feature DVD in 2010. Not to mention Anchor Bay has also distributed many DVD editions of the original HalloweeN. 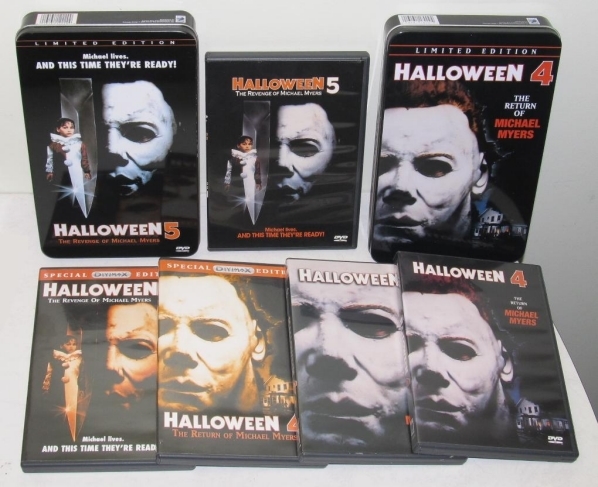 I was such a HalloweeN nut back in the day that I purchased most of these H4 and H5 DVDs out of habit. I’m still a fan of the franchise, but I reached my limit with these releases somewhere around 2008. I also became numb to promises of special features. I have stacks of other DVDs and Blu-rays that still require viewing. Oh yeah, I also have a so-called life beyond HalloweeN and movies (I think). Still, the HalloweeN DVDs presented here have a purpose beyond entertainment. They serve to recall one of my favorite times: the 1990s and early 2000s – the DVD era. I had the 2001 release of Halloween 4, back in the day. Lot of mileage out of that disc, I wish I still had it!